In the past week or so, Major League Baseball and the MLB Players Association have been in talks about potential rule changes for the 2019 and 2020 seasons. While many of the proposed changes like the universal DH and a single trade deadline seem like great ideas, there is one suggestion that made me cringe. Major League Baseball is actually considering mandating a three-batter minimum for all pitchers barring injury or a completed inning as a part of the proposed rules overhaul, and it's one of the most ridiculous things I have ever heard of. For starters, part of the reason why the two sides have been meeting is over labor concerns within the player's union, as they are looking to create more roster and financial opportunities for the players. If this rule is passed, it would essentially wipe out any sort of specialist relief pitcher. 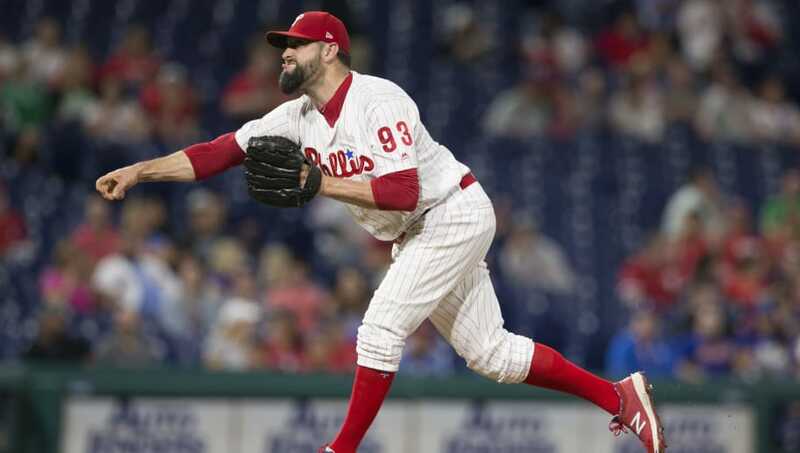 Consider Pat Neshek of the ​Philadelphia Phillies, who has made a career out of coming in to face one or two tough hitters, or Mike Myers, who played 13 seasons in that role. What would a lefty specialist like Will Smith or Oliver Perez do? Not to mention the fact that limiting a team's ability to make substitutions whenever they want is just absurd. There are no snaps limits in football where entire units of players are substituted in for just one play, so why should there be batter limits in baseball? This proposed change is just another blatant way for the league to promote offense and shave down their precious game time. If you ask me, this change is too over the top, and a pitch clock would be far more effective.